Food plays a pretty vital role in human existence. Food is one such thing which is a basic necessity as well as a luxury depending upon the circumstances and its availability. Food is considered to be a source of energy and sustenance and is also looked upon with utmost respect because of the reasons stated above. Because of the gradual sweep of commercialization into the world of competition, this particular basic need has also been converted in to a source of economy. Consequently, food has become an essential source of income and human beings form a major portion of ‘consumers’ in a society. This has brought competition to that extent that the originality and the natural value of food have been diminishing day by day. The primary reason for such diminishing quality is adulteration. 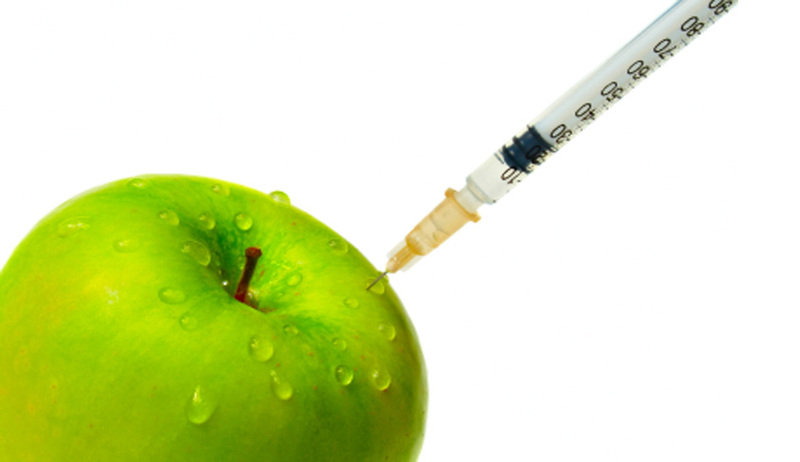 Food adulteration has become a big nuisance for the humankind to a large extent. The year 1785 was the year when the first law was made to protect food quality in Massachusetts. After that, various other places started enacting food laws. In 1906, President Theodore Roosevelt passed the original Food and Drugs Act in California. The purpose of such enactment was to restrict trading of adulterated and low quality foods, drinks and drugs. That was the same time when the Meat Inspection Act was also passed. The 1906 Pure Food and Drug Act was enacted and this was a huge step towards the development of law against adulteration of food. The 1938 Food, Drug and Cosmetic Act was a rectifying measure for the flaws that were detected in the 1906 Act. The 1938 Act changed quite the way adulteration was looked at. And the Food Safety Inspection Service (FSIS) of the United States Department of Agriculture (USDA). The Food, Drug and Cosmetic Act 1938 (FDCA) as amended, sets out the authority of the FDA whilst the Meat and Poultry Inspection Acts and the Egg Inspection Act set out the authority of FSIS. Agricultural Marketing Service (AMS) is an agency within the United States Department of Agriculture (USDA), supports the fair marketing of US agricultural products by providing testing, standardization, grading and market news services, overseeing marketing agreements and orders and administering research and promotion programs. The Agricultural Produce (Grading and Marketing) Act, 1937 which is popularly known as AGMARK Act. This prescribes certain standards of quality for agricultural produce and verifies whether certain products get marked safe as per the AGMARK regulations. The Essential Commodities Act, 1955 which ensures the equitable distribution of essential commodities among public and ensures that such is done at a fair pricing. Fruit Products Order, 1955 was promulgated on the basis of Section 3 of the Essential Commodities Act to ensure the quality of fruit produce and to ensure that such production is done in all possible hygienic conditions. Food Safety and Standards Act, 2006 stood as a giant of food laws and repealed most of the previous enactments by virtue of its Second Schedule. The Food Safety Standards Authority of India (FSSAI) has found that contamination is quite common among all food items across the country apart from just milk. A comparative analysis of food samples has shown adulteration rates as high as 40% in Chhattisgarh, 34% in Uttarakhand, 29% in Uttar Pradesh, 23% in Rajasthan and 20% in West Bengal and Himachal Pradesh. Besides, nearly 17% of the food samples tested in Bihar and Chandigarh, 16% in Nagaland, 15% in Punjab, Madhya Pradesh and Orissa, 14% in Haryana, 12% in Tamil Nadu and 10% in Maharashtra. In the year 2014, a deputy manager of a dairy major has been awarded six months in jail by a Delhi court for supplying adulterated low fat cream to a hotel in 2006. The court said that the offence was "serious in nature" and "adulteration of food is a menace" to public health. "The Prevention of Food Adulteration Act has been enacted with an aim of eradicating that social evil and for ensuring purity in the article of food." In the case of Sardarmal Jain v. Nagar Nigam and Another, the accused was given the benefit of doubt when “Burfi” (a sweet) was found adulterated with Rhodamine- B which is a material used in printing process. The Court held that there is a possibility that the “Burfi” was wrapped in a newspaper and the when the newspaper became soggy, the Rhodamine-B used in printing of that newspaper came in contact with the "Burfi" and got transmitted on it. However, with time, adulteration of food has caught some serious attention and is being looked at with a lot of concern. In a recent case of Swami Achyutanand Tirth & Ors. Vs. Union of India & Ors., the Apex Court held that non- implementation of the provisions of the Food Safety and Standards Act, 2006 and the Rules framed there under violates the right to health and safety of the human beings guaranteed under Article 21 of the Constitution of India. Considering the seriousness of the offence and referring to the amendment to Section 272 Indian Penal Code made by States of Uttar Pradesh, West Bengal and Odisha, wherein the punishment for adulteration of food and products is enhanced to imprisonment for life and also fine, by order dated 05.12.2013, this Court observed that “similar amendments are to be made in other states as well.” Hence, the situation of precautions for adulteration is improving in India and is at a state where a lot of improvisation can be made to it. Adulteration of food or drink intended for sale.—Whoever adulterates any article of food or drink, so as to make such article noxious as food or drink, intending to sell such article as food or drink, or knowing it to be likely that the same will be sold as food or drink, shall be punished with imprisonment of either description for a term which may extend to six months, or with fine which may extend to one thousand rupees, or with both.